We developed a real-time 3D mapping system by integrating UAV and LiDAR technology. Terra drone will provide the aerial LiDAR survey solution that has been customised for each industry. 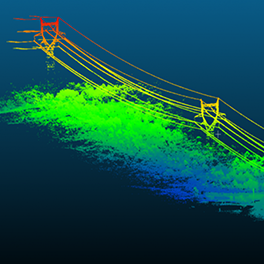 Our LiDAR solution can reduce the time, cost and complexity of inspections and surveying. We can adjust our solutions for specific customer requirements including landform types, budget, data accuracy and schedules. We have standardised our platforms on industry recognised leading products including the Riegl and Velodyne scanners. 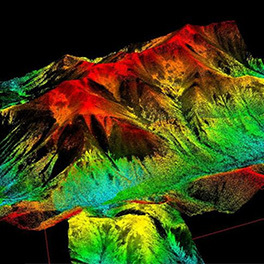 Our LiDAR solution can collect the mapping data from all types of terrain and generate high accuracy models. Terra drone LiDAR survey system is calibrated to collect relief data from the surface. 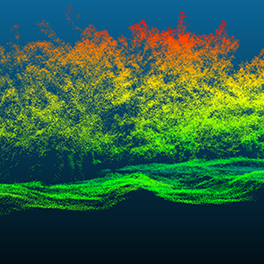 Although traditional methods are unable to collect the relief data as a result of vegetation obstruction on the ground, our LiDAR system produces accurate 3D mapping data in real-time. The normal process of inspecting the distance between powerline and vegetation is conducted by manned helicopters. This method has large labour costs and is time consuming. 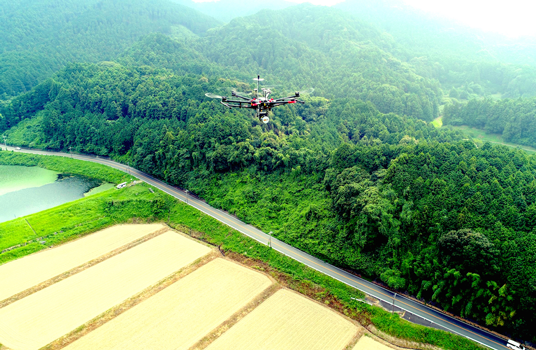 The Terra Drone LiDAR inspection system provides a beneficial alternative as it is able to accurately model the distance using data in real-time. Collecting relief data from steep surfaces has been consider a difficult task up until now. To combat this problem, we introduced the LiDAR system to vertical environments. Compared with the ground laser scanner, our technology effectively collects the relevant data using UAVs. In this way, the Terra drone experience, technology and post-processing LiDAR methods are able to deliver customised solutions for specific project needs.